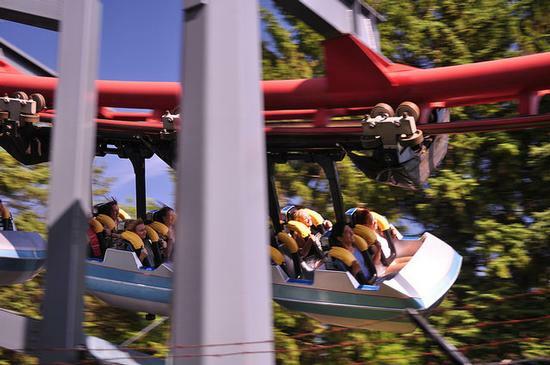 Vortex is an excellent roller coaster in Frontier Canada and one of the best attractions at Canada's Wonderland. The minimum height to ride is 48 inches. Designed by Arrow Dynamics, it features a 100ft tall lift hill, and a 100ft drop built on the side of Wonder Mountain, and a helix built completely over water.